A year later, another TV series dealing with crime in the Big Apple premiered to TV audiences…and it demonstrated that of those eight million stories, some of them could be side-splittingly hilarious. The main characters of this show were simple uniformed patrolmen, but they served a purpose every bit as important as their Naked City brethren because as the lyrics in the show’s opening told us: “There’s a traffic jam in Harlem that’s backed up to Jackson Heights.” Fifty years ago on this very date, NBC presented us a different breed of cop in a situation comedy whose original run may have been brief but would soon to go on to be beloved by adoring fans as a genuine cult classic: Car 54, Where Are You? Officer Gunther J. Toody (Joe E. Ross) was a short-and-squat chatterbox whose gravelly voice and constant exclamation of “Ooh! Ooh!” would get on the nerves of anyone after a fashion…with the exception of his best friend and longtime partner, Officer Francis A. Muldoon (Fred Gwynne), a tall, somber individual who was college-educated and had a bit more Moxie on the ball than his dimwitted pal. However, their precinct captain, Paul Block (Paul Reed), bemoaned the day he had partnered the two men because in the hopes that some of Francis would rub off on Gunther the end result was “two Toodys.” The two friends worked out of the mythical 53rd Precinct in the Bronx, and in fact had been partners practically from the day they joined the force. 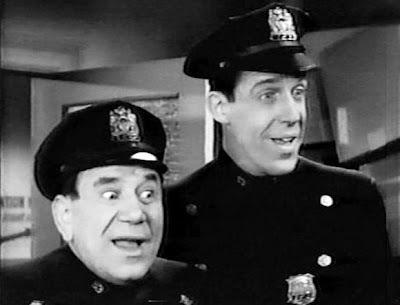 In one of Car 54's archetypal episodes, “Change Your Partner,” a police department researcher decides to split the two men up and pair them with different patrolmen because their lengthy association completely flies in the face of normality (most partnerships last only 16 months). This grand experiment doesn’t last long, however — no one is able to endure Toody’s garrulousness or Muldoon’s stony silences and so the two chums are reunited by the episode’s end. The comic concoction known as Car 54, Where are You? was created by television legend Nat Hiken — a name that might be unfamiliar to many today, but in an era when the concept of a Hollywood “hyphenate” (writer-director-producer) is quite commonplace nowadays, Hiken was one of the first and best of the lot. Nat got his big break in show business (after working previously in radio on the West Coast) in a job that I personally would have given my left earlobe for — he was the head writer on Fred Allen’s radio show, a position that had to be fraught with frustration because it was generally believed by the public that Allen wrote all of his own material. After additional radio assignments working on Milton Berle’s show and an underrated sitcom entitled The Magnificent Montague, Hiken moved into the new medium of television as the head writer of TV’s All Star Revue. He experienced a momentary setback when his name turned up in the infamous Red Channels pamphlet (Hiken had to take out an ad in Variety denouncing any Communist beliefs) but rebounded to write and direct Martha Raye’s popular comedy-variety hour in 1954, a program on which Nat also toiled with one of his future collaborators, Billy Friedberg. The fall of 1955 saw the debut of Hiken’s most popular and lasting contribution to television: The Phil Silvers Show (aka You’ll Never Get Rich or as it is often referred to by fans, Sgt. Bilko). Silvers starred in this uproarious sitcom as Master Sergeant Ernest G. Bilko, a U.S. Army lifer who had developed a reputation in the service as a smooth-talking con man with an eye out to make a fast buck. The Phil Silvers Show became a huge favorite with audiences and Nat’s industry peers, so much so that he, Silvers and the show’s writers carted home several Emmy Awards for their achievements throughout the four-year-run of the series. But working 18-hour days on Bilko to make it the best that it was began to take a physical toll on Hiken, and he left the series after its second season, limiting himself afterward to hour-long specials (he also attempted to revive the Montague series for TV in 1958, but CBS lost interest in the idea). By 1961, Nat was ready to tackle a second sitcom (that would be handled through his own production company), based on an idea that he had had for several years that would satirize the then popular slew of TV crime shows with a pair of New York City cops and comic situations focusing on their day-to-day work routine and their lives outside the precinct. The two actors originally considered for the lead roles were Mickey Shaughnessy (as Toody) and Jack Warden (Muldoon) — but when Hiken couldn’t come to terms with the two men he decided to poach a pair of thespians with whom he’d worked with on the Silvers show in the past. Joe E. Ross had been a third-rate burlesque and nightclub comic when Nat, liking Ross’ sandpaper voice and less-than-Hollywood-handsome looks, used him to replace Harry Clark (who played mess sergeant Stanley Sowici on Bilko, and who had passed away after the first season), casting Joe as Fort Baxter’s new mess sergeant, Rupert Ritzik. Ross’ Ritzik would prove to be the perfect comic foil for Silvers’ Bilko, often cast as the patsy in Bilko’s latest get-rich-quick scheme…and on occasions when Rupert’s shrewish better-half Emma figured in the plots, Hiken sent for Beatrice Pons — Pons’ stock-in-trade was sloppy bathrobe-and-curlers housewife roles, which Nat remembered when casting her as Mrs. Toody in Car 54. Other actors who appeared on Car 54 included Albert Henderson (O’Hara), Jim Gormley (Nelson), Bruce Kirby (Kissel), Joe Warren (Steinmetz), Mickey Deems (Fleischer) and Patricia Bright (who played Mrs. Captain Block). 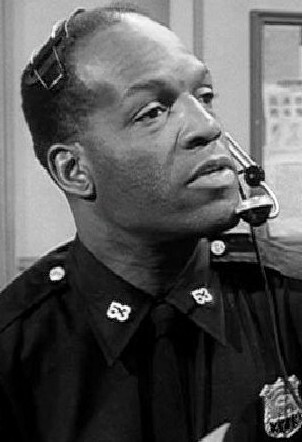 The disparate ethnic makeup of the 53rd Precinct reflected the diversity of the neighborhood they patrolled, and like he had previously done on Bilko, Hiken cast black actors in pivotal roles without calling attention to them — Frederick O’Neal and Nipsey Russell appeared on occasion as (respectively) Officers Wallace and Anderson, and other African-American members of the 53rd included at various times Ossie Davis, Mel Stewart and Godfrey Cambridge. Nat also favored casting unusual and offbeat guest stars; among the familiar faces to grace Car 54 episodes: Molly Picon (in three episodes as kindly Rachel Bronson), Jake La Motta, Jan Murray, Maureen Stapleton, Carl Ballantine, Tom Bosley, Wally Cox, Gene Baylos, Larry Storch, Alice Ghostley, Jules Munshin, Shari Lewis, Sugar Ray Robinson and Rocky Graziano (whom Hiken had miraculously transformed into a hilarious sidekick for Martha Raye on her variety series). New York City, once the heart of television production, had acceded responsibility to Hollywood and the West Coast with each passing year so Car 54 was unusual in that it was one of the few TV series still being shot in the Big Apple (other series included The Defenders and Naked City) by the 1960s. The show was filmed at the Biograph Studios (where director D.W. Griffith got his start), and though some believe the show used canned laughter Hiken actually employed a technique from his days on Bilko in which he showed each finished episode of Car 54 to a live audience and recorded their laughter on the soundtrack. 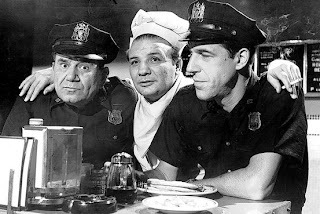 Whenever they had to shoot outside the studio in the Bronx, the patrol cars were painted red and black (which would go unnoticed when filmed in black-and-white) to distinguish them from the regulation green-and-white cars in use at the time (an apocryphal story goes that the switch was made after someone tried to flag down one of the faux patrol cars while filming, believing it to be the real deal). When the show premiered, Hiken was wearing many of the hats himself (writing, directing, and producing) but a number of outside factors gradually influenced him to start delegating those jobs to his collaborators (among the co-writers on Car 54 were Terry Ryan, Tony Webster, Gary Belkin, Art Baer and Ben Joelson). Nat’s stormy relationship with actor Ross played a large role in his turning over the directorial reins of each episode to another former Bilko crony, Al De Caprio (and later Stanley Prager); while Ross’ participation on Car 54 had made him a household name, the actor started to develop delusions of grandeur, believing that he and he alone was responsible for the series’ success. He refused to learn his lines, squabbled with and belittled both crew members and his fellow actors and in short, became impossible to deal with — Ross’ unprofessional behavior finally reached its zenith where had the show been renewed for a third season Hiken would have fired Joe and re-focused the series on Gwynne and Lewis. The pressure of being Car 54’s “auteur” was simply too much for Hiken; he had a falling-out with Billy Friedman (and ended up firing him as a result) and NBC was also not doing Nat any favors by insisting the show both switch to color and ditch the live laughter track. Actor Hank Garrett says that what prevented Hiken from tackling a third season was NBC’s insistence that they own 50 percent of the show; other sources state that the man considered by many to be a “comic genius” had simply burned himself out. Hiken, who created what I feel is one of the unsung situation comedies of all time (I really, really revere Car 54 for its deceptively simple plots that would explode without warning into Kafkaesque nightmares) busied himself with a few projects after pulling the plug on Car 54 (his last notable credit was as writer and director of the 1969 theatrical film The Love God, one of Don Knotts’ few box office flops) but years of trying to do it all finally did Nat in…he died at the age of 54 (there’s irony for you) in 1968 from a massive heart attack. The cast and crew of the series would of course go on to further triumphs: Fred Gwynne eventually did get the opportunity to collaborate with Al Lewis when the two actors starred in the CBS sitcom The Munsters (and Gwynne later distinguished himself with first-rate turns in such films as Simon, The Cotton Club and My Cousin Vinny). As for Joe E. Ross, whom one TV critic observed “has the air of an animal that has been stuffed into clothing and taught how to speak short bursts of dialogue,” his starring role as a prehistoric caveman in the short-lived It’s About Time was very appropriate; he later reprised the role of Toody in animated form in an episode of Hanna-Barbera’s Wait Till Your Father Gets Home (Ross had by that time started working for Bill and Joe, providing voices on such shows as Help!...It’s the Hair Bear Bunch and Hong Kong Phooey). 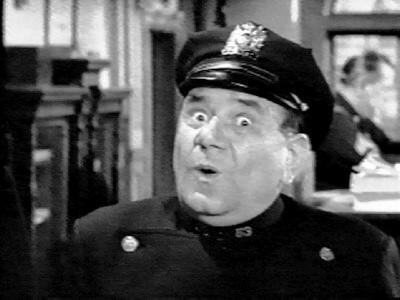 For many years after its network run, Car 54 was kept alive through reruns and memories of its staunchly loyal fans; it experienced a brief reemergence in the late '80s when it was showcased on the once-proud Nick at Nite from 1987 to 1990 (it also turned up on Comedy Central for a short time afterward); the only cable outlet that I know of that’s showing it now is Me-TV, which runs an hour of repeats on Saturday nights. Fortunately for Car 54 aficionados, Shanachie Entertainment released the first season of the show to DVD in April 2011 and has promised the second season will follow soon. I learned to my dismay sometime back that Car 54, Where are You? is for many people an acquired taste (some people will just sit through the show stone-faced — and I’ve observed that not coincidentally they are the same folks who never quite embraced the humor of Seinfeld)…and that only seems fitting because Hiken wrote for Fred Allen in his show business salad days, a humorist whose once bright star has lost its luster to a new generation who cannot grasp his topical humor. (I also attribute people’s dislike for the show with their associating it with the abysmal 1994 film based on the series…which despite having alums Nipsey Russell and Al Lewis in the cast should have been cut up and used for banjo picks.) But without realizing it, Hiken created out of a fitfully funny situation comedy an important social document of the 1960s; unlike the celebrated Mad Men, which more often than not plays more like a pastiche of that era, there’s an authenticity to Car 54 in its Bronx locations and people despite its tendency toward broad and often surrealistic burlesque. As TV critic Robert Lloyd comments: “…it comes out of the world it portrays, and though it favors the old ways — those early 20th-century ways of talking, walking, doing business — you can feel them giving way to new. There is a lot of small and careful detail dressing the laughs.” Ooh! Ooh! I couldn’t agree more. Ivan, your knowledge of television history is without compare. You can play 6 degrees of separation with TV from its inception to today in a way I have never seen before. And you are funny. That is why I really enjoyed this article. If not for that, I would have seen the name "Car 54, Where Are You" and run screaming into the night. Yes, I am one of them, one of the un-reverers -- and yet, oddly enough, I am not stone-faced with Car 54, and I ADORE Seinfeld and Fred Allen. I must be an anomaly. There are funny things in Car 54. The actors are wonderful, although Ross always just grated on me. "Ooh, ooh" was not my favorite comic shtick. The song is hilarious, and I can sing every word to this day. But (the BIG but, as we used to say as kids), it just cannot stand alongside other really great comedy shows like Phil Silvers, Fred Allen, Berle...The fact that Hiken, an incredible talent, was involved with Car 54 was not enough to save it, in my oh-so-humble opinion. The Phil Silvers show was nothing less than brilliant, and the fact that Hiken was exhausted from doing that one kind of explains to me why Car 54 is not what it should have been. Well, today we each disagreed on something the other just loves, and that's show-biz. And Ivan, I think Hiken, being the comic genius he was, would give a huge belly-laugh to your description of his death: "...years of trying to do it all finally did Nat in…he died at the age of 54 (there’s irony for you)" LOL! Ivan, I've already posted an accolade-laden comment on your blog, so not to repeat myself ad nauseum - I loved your post there and I love it here. You know more about television than just about anyone I know. My brother and I are the only two left in my family who remember these old shows. It's great to read about them esepcially when written with such style and verve and obvious affection. The 53rd is such a happy place for me that when I first learned of the troubles with Ross, the network and burn out suffered by Hiken I was a little afraid that coming to the series again that it would not be the same. Thankfully, that is not the case. I am more in awe of the television greatness that was accomplished under the circumstances. But anyway ... Car 54. I was but a child of 11 in 1961, when Car 54 began its run.The initial appeal for a kid was, Toody and Muldoon looked funny. Fat and skinny was always classic. They also sounded funny. Gravelly motormouth and sparing basso, also classic. But the real gold in Car 54 was this: you had to pay attention. The stories had a logical spine - crazy logic to be sure, but within its own frame of reference, everything made a kind of sense. After the network run ended, our local ABC station put Car 54 in one of the many open timeslots the network always seemed to have. My father, a Nat Hiken-Bilko fan of long standing, kept right on watching with my brother and me. Dad frequently said "They had some really good satire on that show", which is how we learned what that was. The Broadway tickets episode was a particularly good example; I've never forgotten "Little Miss Pioneer", and believe me, I've tried. - John Alexander in some episodes - That is the original "Teddy Brewster" from Arsenic And Old Lace, right? - The Mrs. Bronson saga, especially when she moved into her new flat before the building was finished; the first time I ever saw Charles Nelson Reilly (he was the architect). - Learning that the theme song was sung by several members of Mitch Miller's Singalong Gang. The piping voice that sings the title phrase belongs to Earl Rogers (if you should ever see a Sing Along With Mitch rerun somewhere along the line, Rogers is the one who looks a little like Ed Wynn). And lotsa stuff like that. Not to sound snobbish about this, but I believe the reason that some people don't like Car 54 goes back to what I said above about paying attention. One thing I've noticed more and more about people younger than I am (and these days just about everybody is) is that they either don't - or worse yet, can't - pay full attention to things. They just don't want to concentrate, because it's too hard. - and please bring back the Name/URL option ... please? Sorry about you being frozen out of the comments at TDoY...I tried to go in once before and fix it but I think I screwed it up -- so when I went in a second time everything was hunky-dunky. Come back soon, all is forgiven.